This flavorful black tea with a fragrant aroma is a delicious way to experience the healing effects of medicinal herbs. Mellow and warming with beautiful citrus notes make this tea one of our all time favorites. To make a cup of tea we recommend steeping one tea bag in boiling water for 3 to 7 minutes. Longer steep times will increase both the flavor and potency of the beverage. Adding milk will also increase the effects of the medicinal herbs, as the active components, known as cannabinoids, react even better with the fats in the milk. For a stronger brew add a second tea bag. When making a pot of tea, add one bag for every 7 ounces of boiling water that you pour into your pot. If you are a new medicinal herbs user, or if you have never tried an infused tea or edible, please start with a half cup and wait 45 minutes to an hour to see how it affects you. Adjust your dosage accordingly. 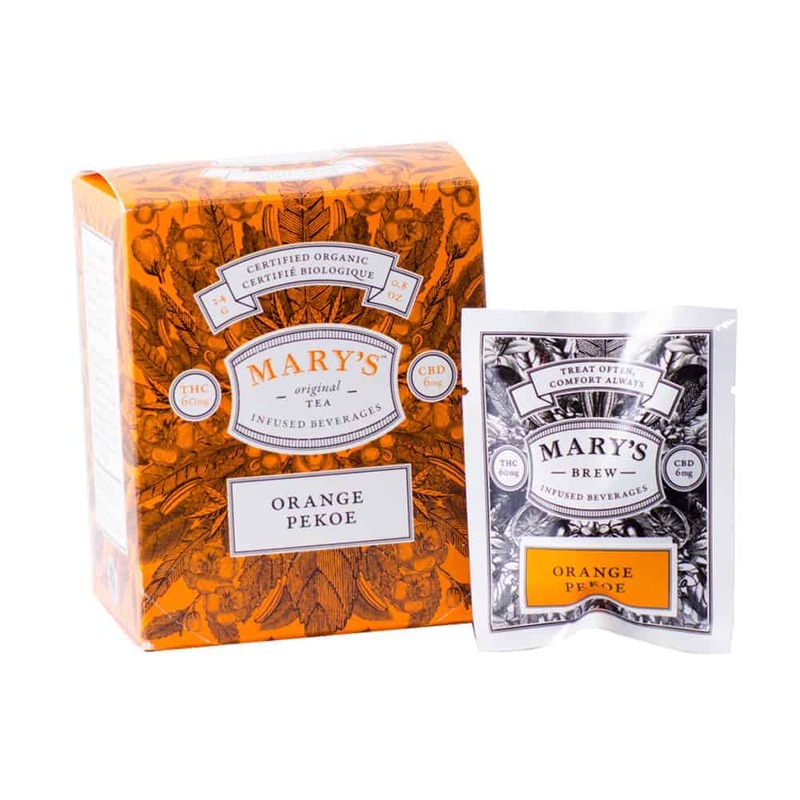 Ingredients: Black tea, Cinnamon, Orange pieces, Lemon balm + Lime leaves, Natural flavors(organic compliant).